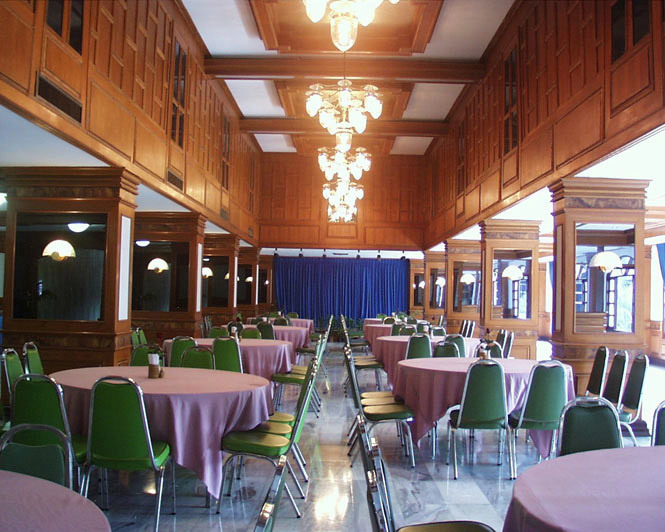 Royal Twins Palace is beautifully placed near Walking Street with Arab restaurants, spa and massage parlours in close proximity. 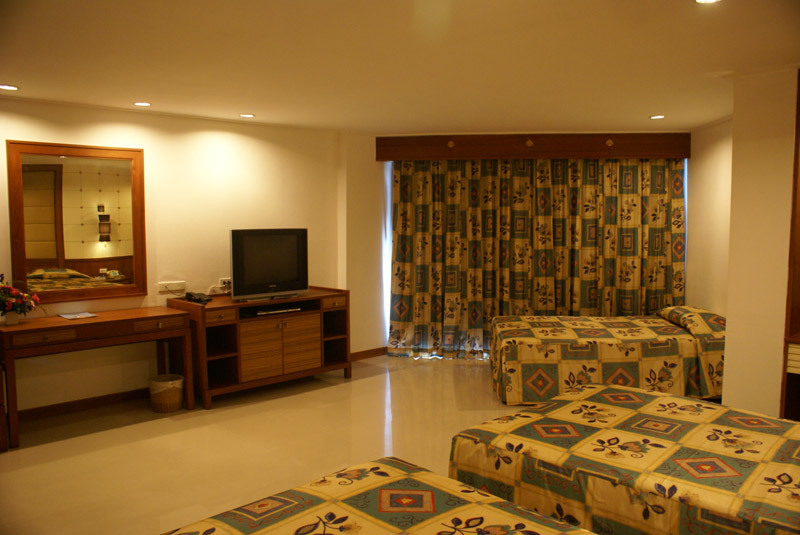 You will definitely like the large sea-facing rooms with balcony, English speaking staff and the clean swimming pool. Start your day by enjoying the delicious International style breakfast. 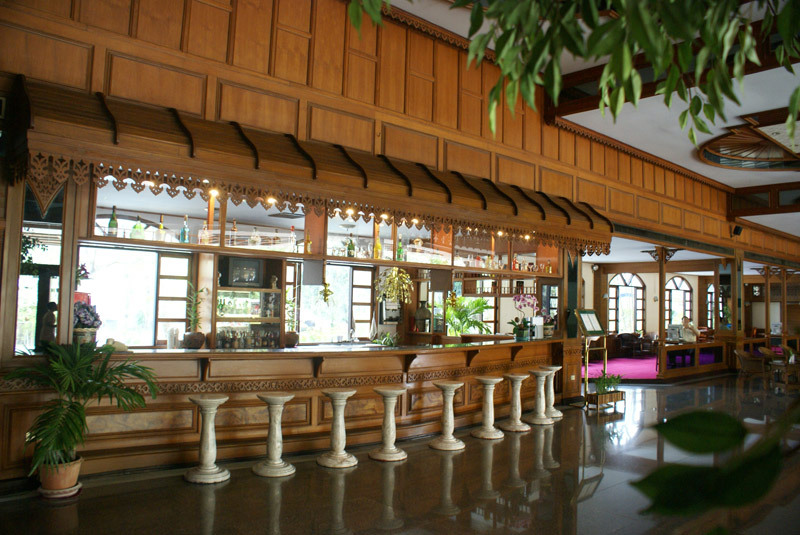 Royal Twins Palace Hotel Pattaya is a 4-star hotel which is situated in the South of Pattaya. The city is Thailand's leading and most successful beach resort and renowned for its sun-drenched beach life, countless water sports, an extensive array of seafood dining, and diverse shopping & nightlife entertainments. 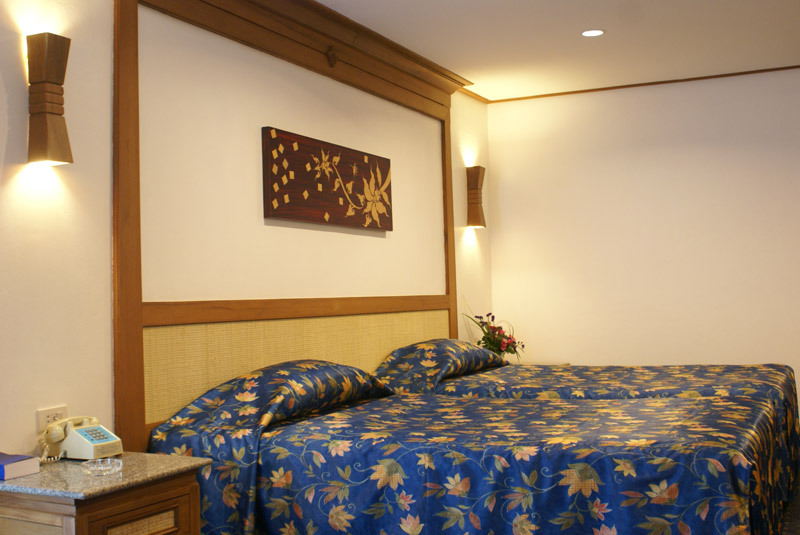 The hotel is a four-minute walk from the Central Festival Pattaya Beach which makes it an ideal location for leisure travelers and couples. 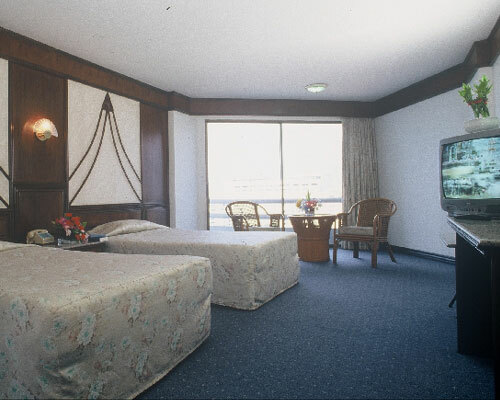 With a terrific location, premier choice and great ambiance, the hotel is one of the best beach accommodation options for the guests. 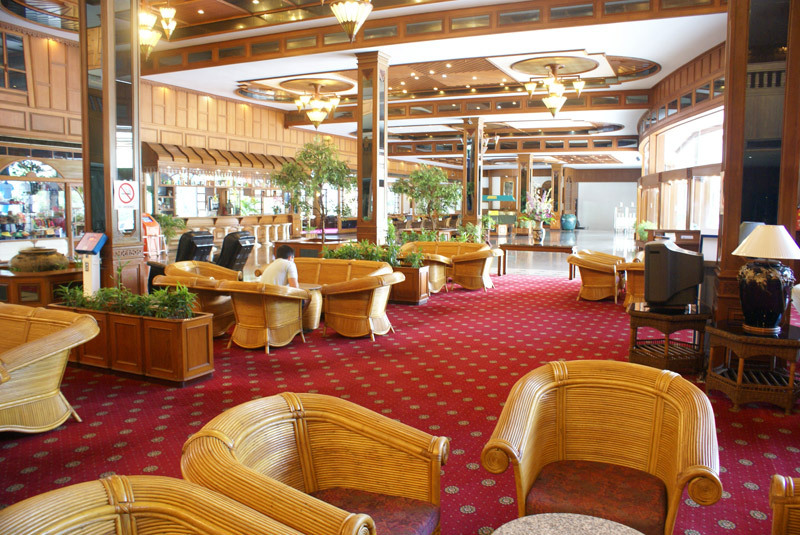 For leisure travelers, the hotel is minutes walk to the Pattaya Beach, nightly entertainments, and the lively Walking Street. 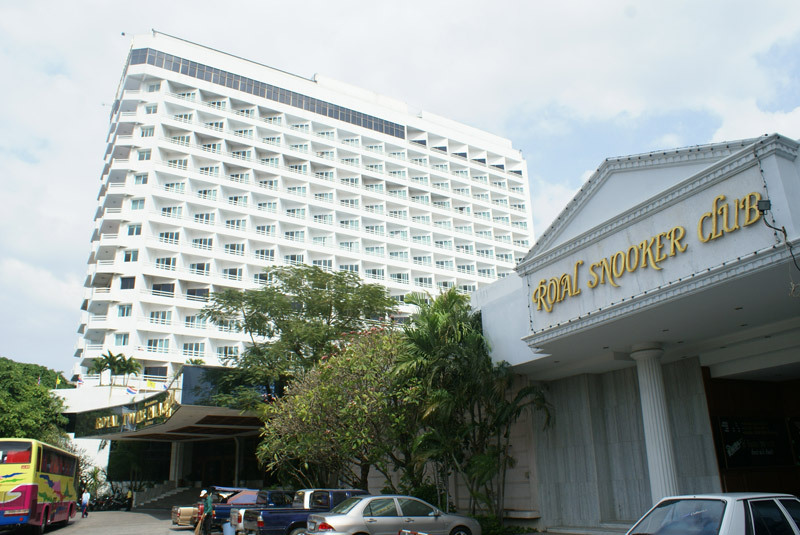 Overlooking the Gulf of Thailand, there are 350 guest rooms with sea or garden view spread across its 15 floors with a grand lobby. 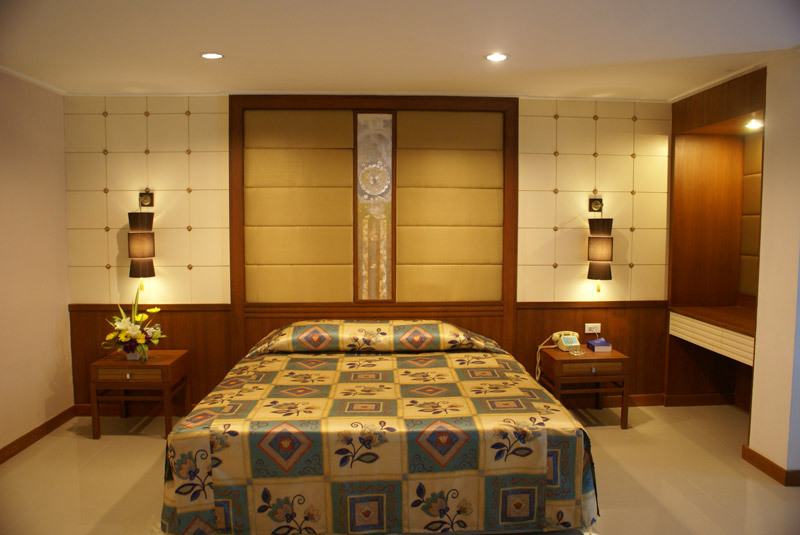 To rejuvenate and unwind your senses, the hotel also provides relaxing Thai massage, Jacuzzi and a swimming pool. 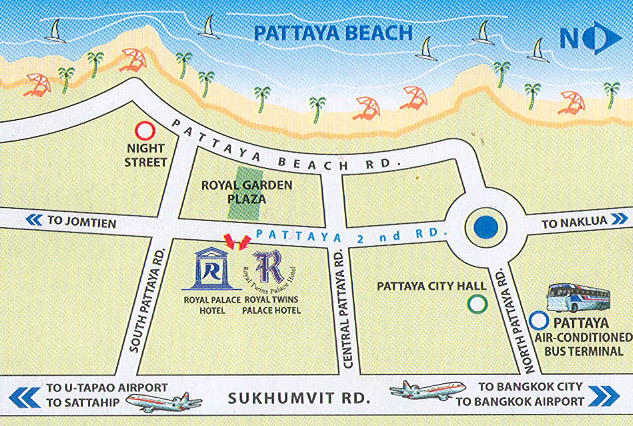 U-Tapao Rayong-Pattaya International Airport is 41 km from Royal Twins Palace Hotel Pattaya Thailand. 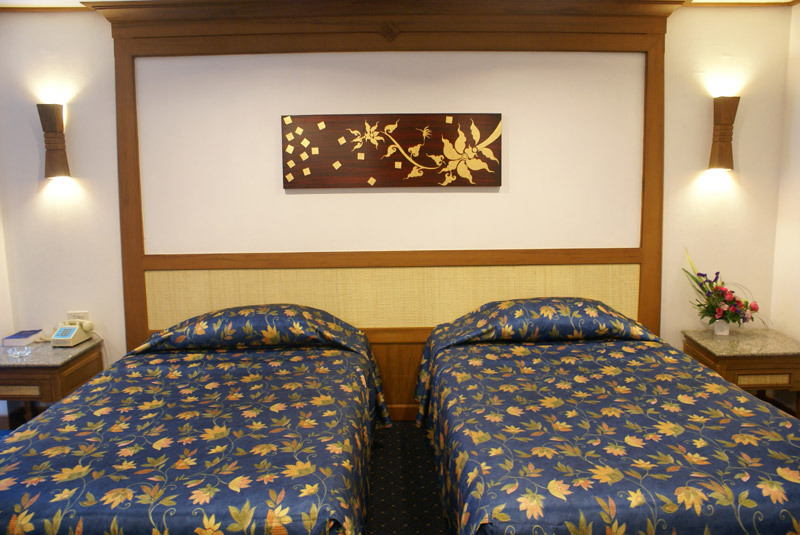 The hotel with friendly staff has a total of 350 elegant, comfortable, fully furnished and carefully decorated rooms. 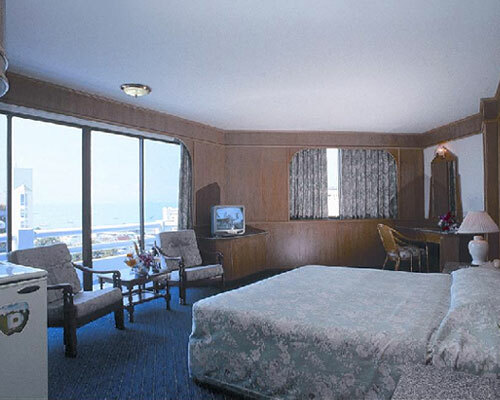 It offers rooms under various categories, including superior room, deluxe room, suite 1- bedroom and suite 2-bedroom that are spread across 15 floors of the hotel. 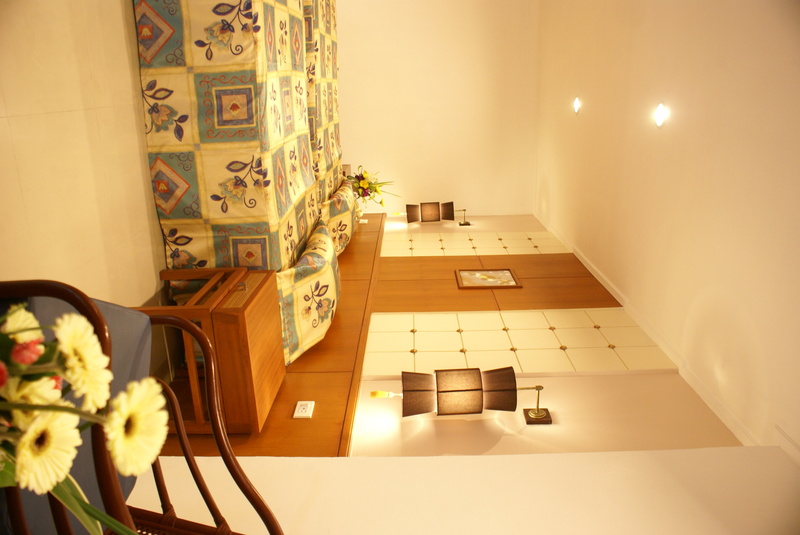 The rooms are either with sea or garden view to meet the convenience and comfort of each guest for an enjoyable stay. 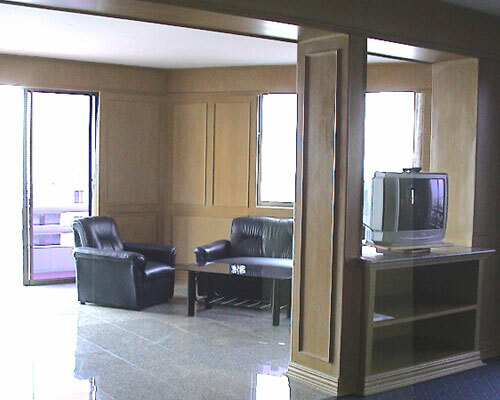 Suite 1- Bedroom is available with a separate living area and a kitchenette. 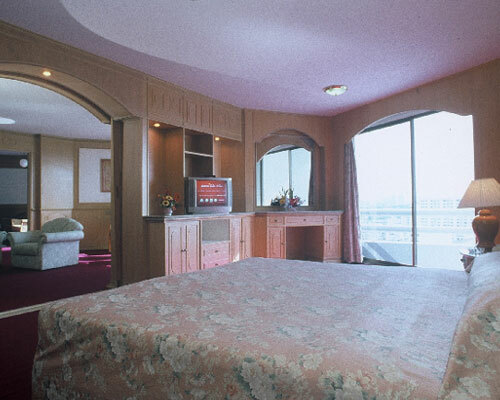 Suite 2- Bedroom is the most luxurious and spacious accommodation at Royal Twins Palace Hotel Pattaya Thailand and can accommodate up to six adults. 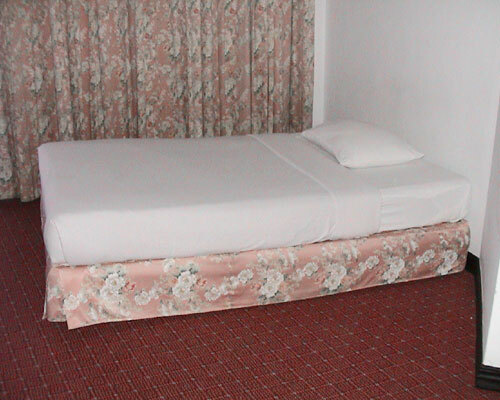 Extra bed in any room is chargeable. 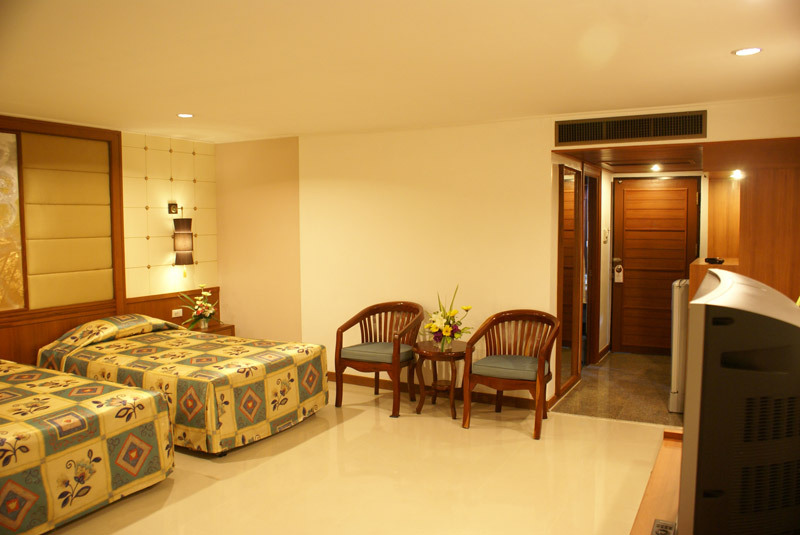 All rooms are well equipped with individually controlled air-conditioner, internet access, carpet or tile floor, hair dryer, fridge & mini-bar, marble-tiled bathroom with bathtub & shower, telephone, and remote control color TV with local, satellites, and multilingual programs. 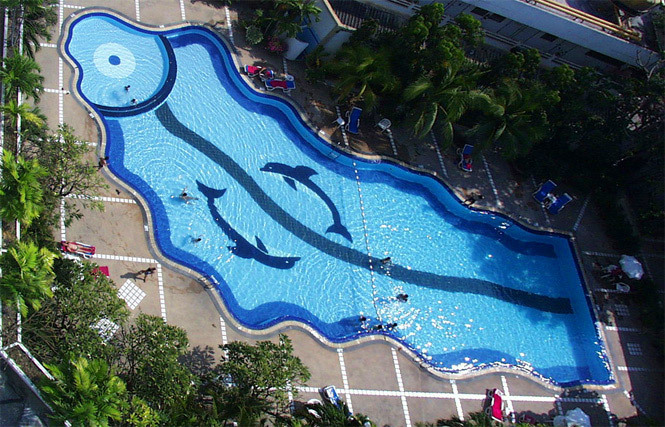 Surrounded by beaches, hills, water parks, and diverse shopping & nightlife entertainments, the Royal Twins Palace Hotel Pattaya promises to offer memorable experiences to its guests. The hotel features a large outdoor pool, Jacuzzi and offers a relaxing Thai massage so that the guests can rejuvenate themselves. 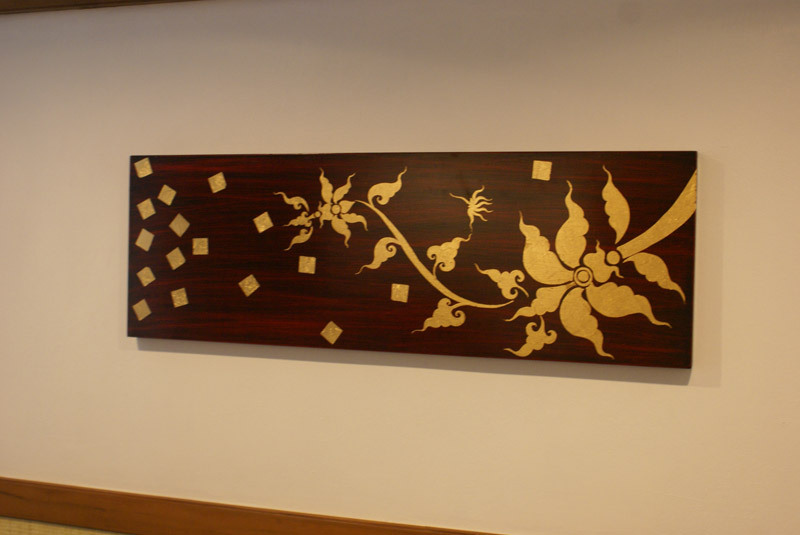 It also features a coffee shop and a Lobby Bar Lounge within the hotel premises that serves a variety of local and international dishes for the convenience of the guests. 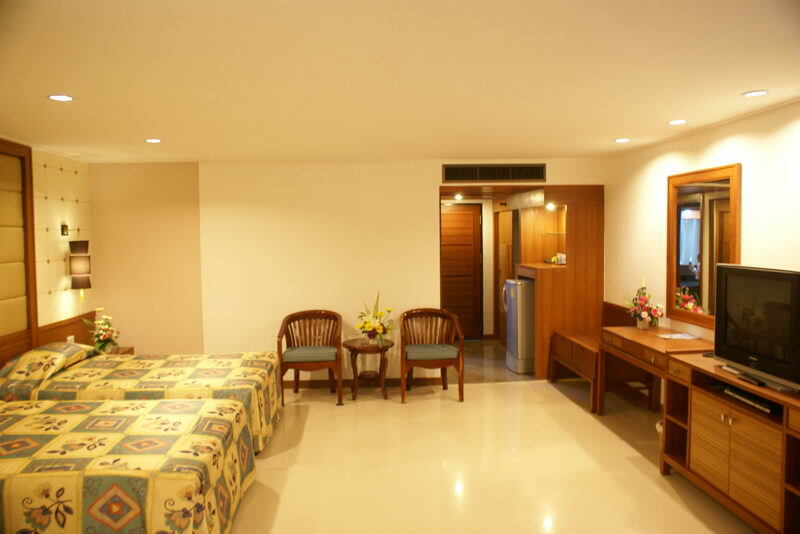 Besides, the hotel maintains a complimentary parking area, 24x7 front, and travel desks and currency exchange facility. 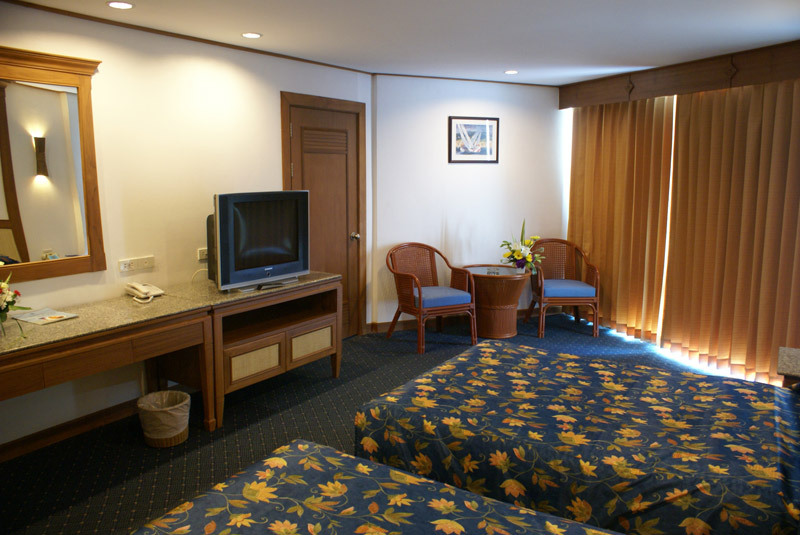 All the hotel rooms are equipped with state-of-the-art amenities and complimentary Wi-Fi. 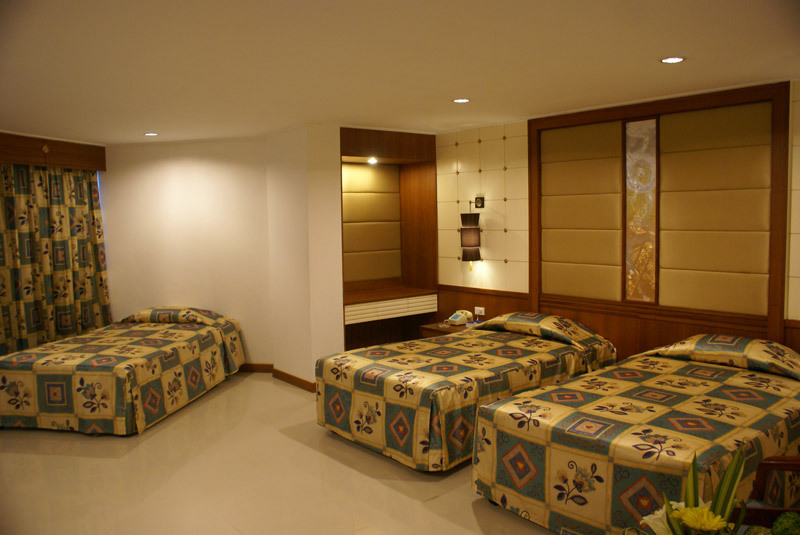 It also offers an airport shuttle, laundry, housekeeping, and babysitting facilities. 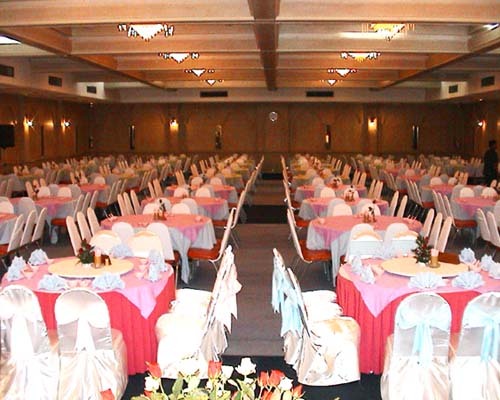 Moreover, the hotel also has facilities like banquet & conference rooms, safe deposit box and car rental facility. 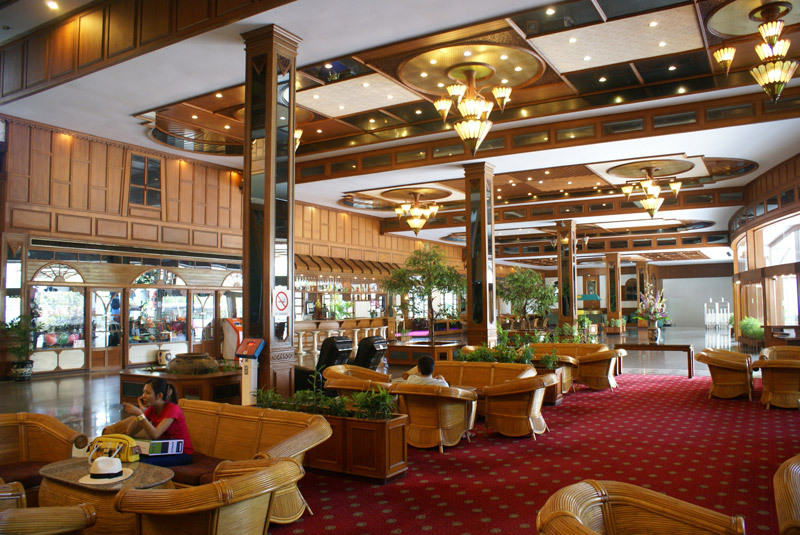 Royal Twins Palace Hotel Pattaya Thailand features exceptional culinary experiences throughout the day and the ideal settings for the night. 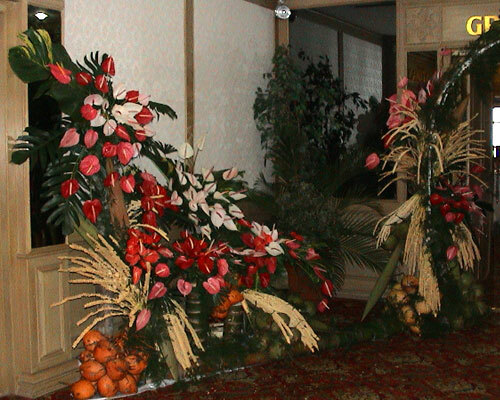 The hotel maintains a coffee house that serves a variety of local and international dishes for its guests. 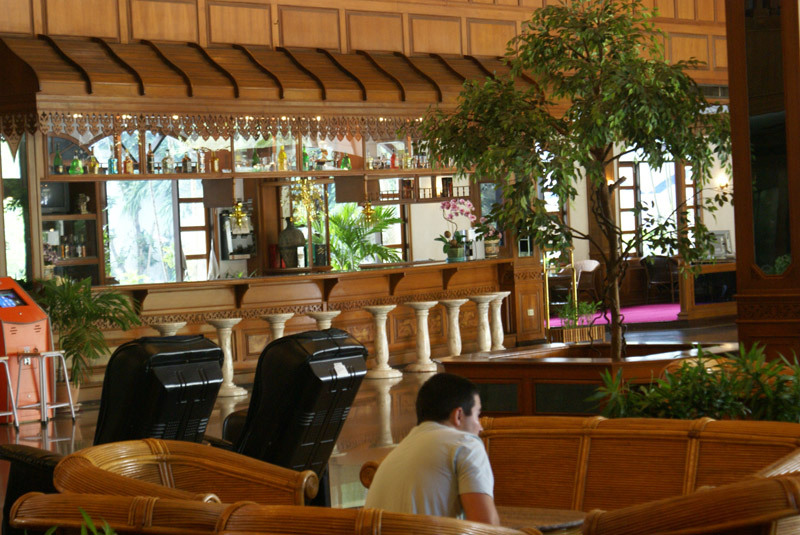 One can have an array of drinks at its Lobby Bar Lounge. As Pattaya is famous for its sun-drenched beach life, extensive array of seafood dining, and diverse shopping & nightlife entertainments, one can find numerous dining options around the hotel to gorge on some authentic Thai and international cuisine. 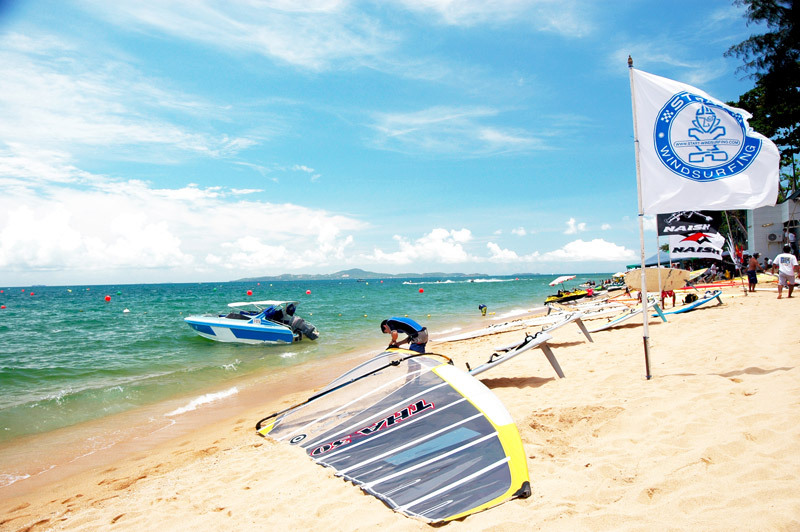 One can also explore the sun-drenched beach life, countless water sports, an extensive array of seafood dining, visit the famous nearby landmarks and catch a glimpse of the Gulf of Thailand. 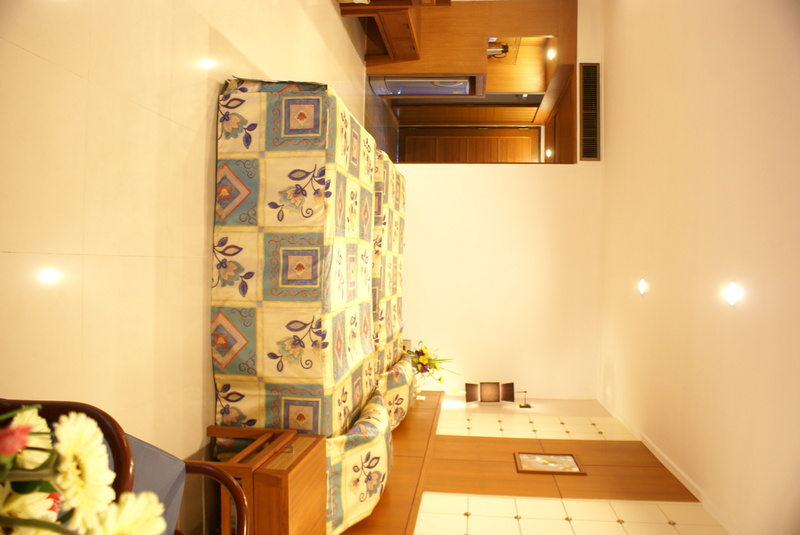 From family vacations to one solo one, the hotel is a great accommodation for a holiday. What is the distance of Royal Twins Palace Hotel from the international airport? 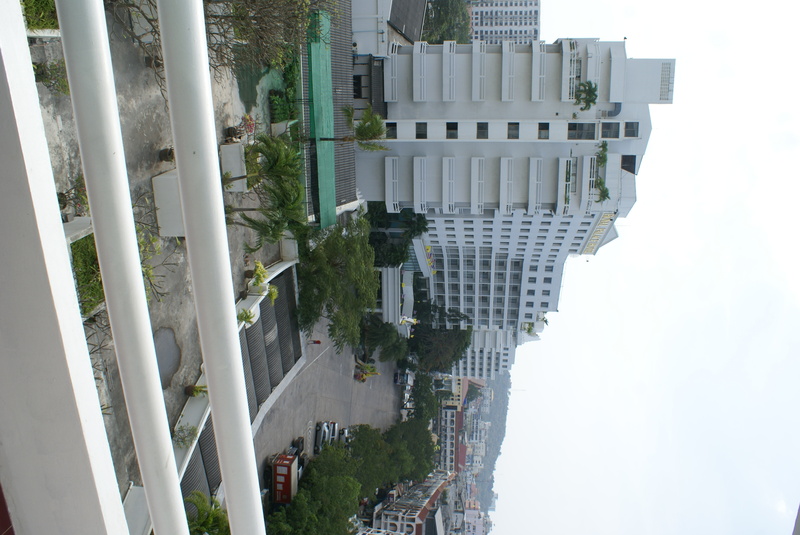 Royal Twins Palace Hotel Pattaya Thailand is 41 km away from U-Tapao Rayong-Pattaya International Airport. Does Royal Twins Palace offer airport shuttle services? 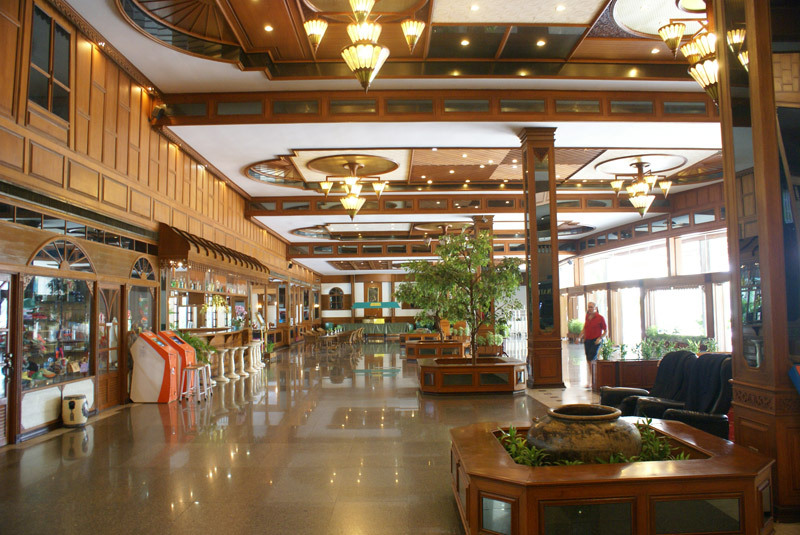 Yes, the hotel offers its guests services for airport transfer. 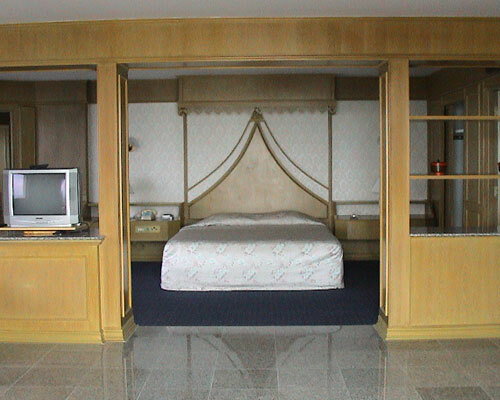 How can one enjoy their time at the Royal Twins Palace Hotel? 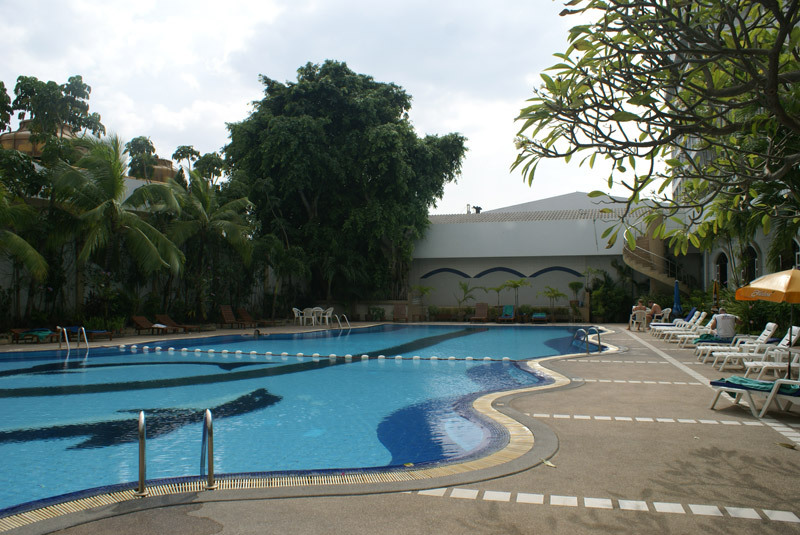 The hotel features a large outdoor pool, Jacuzzi and offers a relaxing Thai massage so that the guests can rejuvenate themselves. One can also travel around and explore the sun-drenched beach life, water sports, and extensive array of seafood dining, visit the famous nearby landmarks and catch a glimpse of the Gulf of Thailand. Does the Royal Twins Palace Hotel offer a babysitting service? 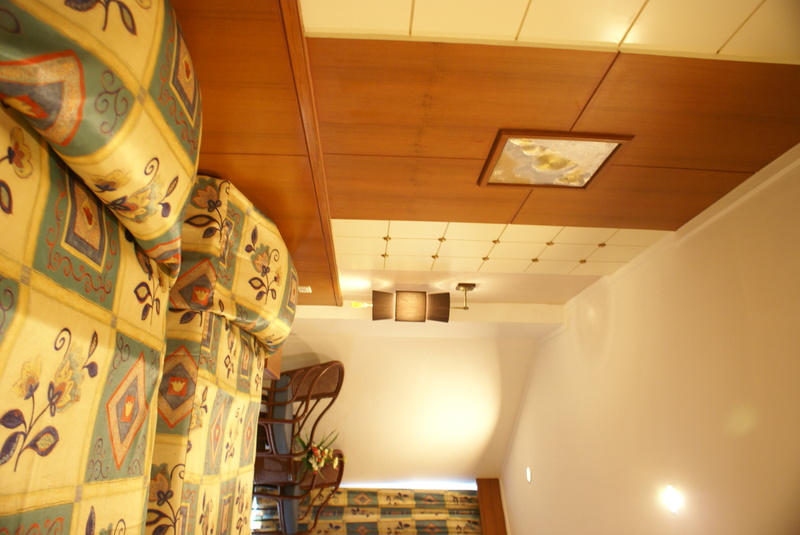 Yes, guests at the hotel can find a babysitting service provided by an experienced set of staff. 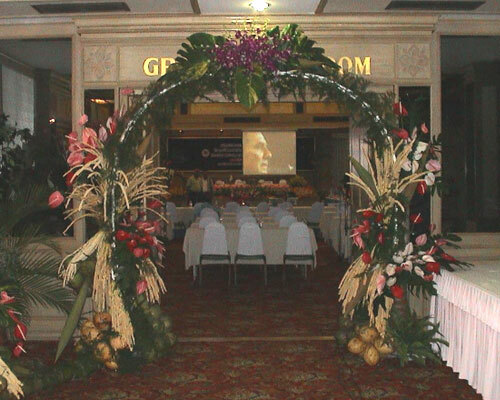 Does the hotel provide banquet facility within the hotel premises? 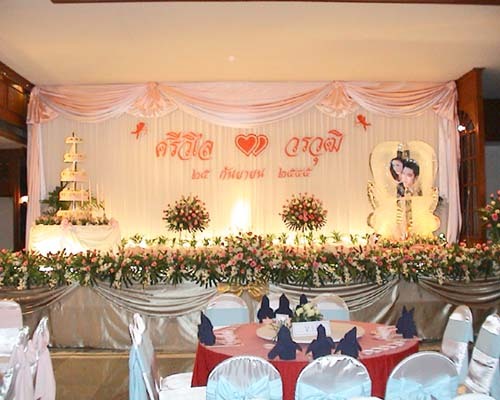 Yes, the Royal Twins Palace Hotel Pattaya Thailand provides banquet facility for its guests to host any event. 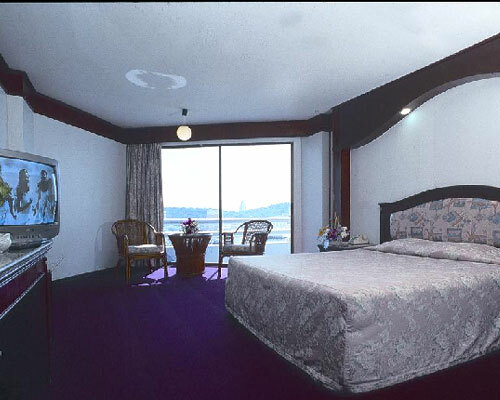 What makes the Royal Twins Palace Hotel Pattaya Thailand one of the most ideal vacation accommodation is its outstanding location, premier choice, and great surroundings. 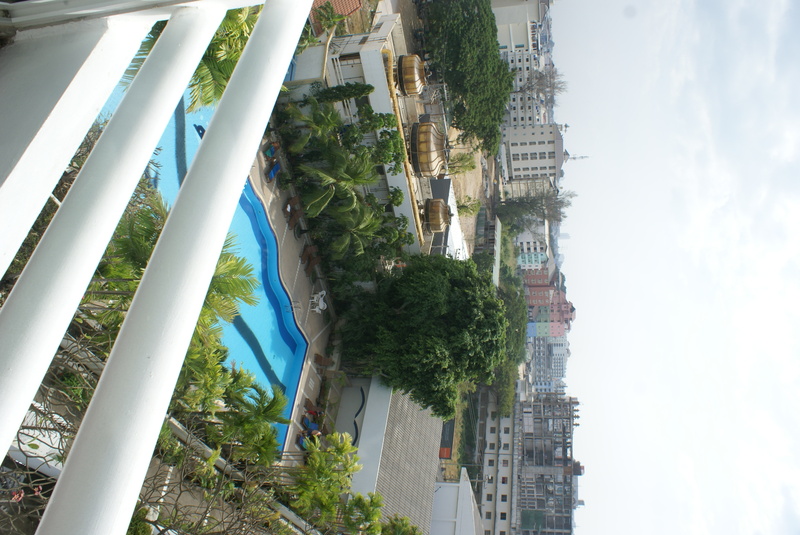 Ideally situated just opposite the shopping complex and a few minutes walk to the Pattaya Beach, nightly entertainments, the property is a paradise for leisure travelers who want to make the most of their vacation. One can find solace and inner peace as well as can enjoy the nightlife at the same place. The property has something for each guest. 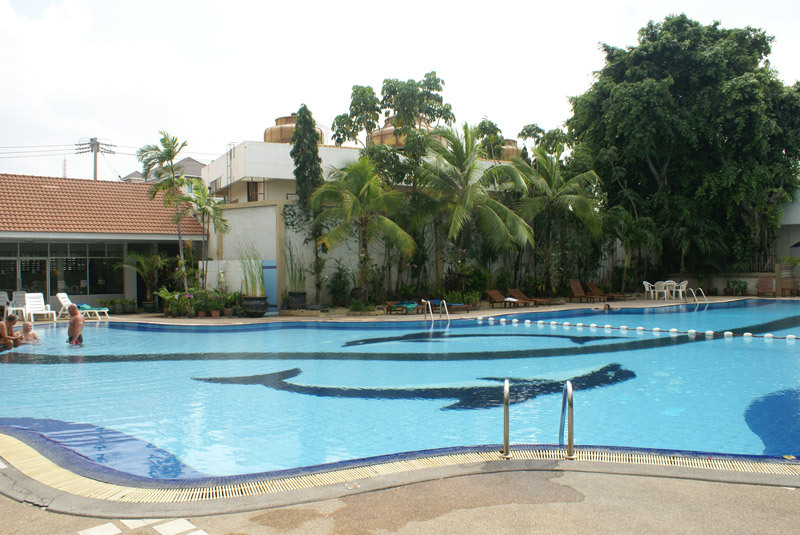 Pattaya offers all the proper elements for a truly memorable holiday. For Indian patrons, the good news is they can find Indian restaurant just nearby and feel like being at home. 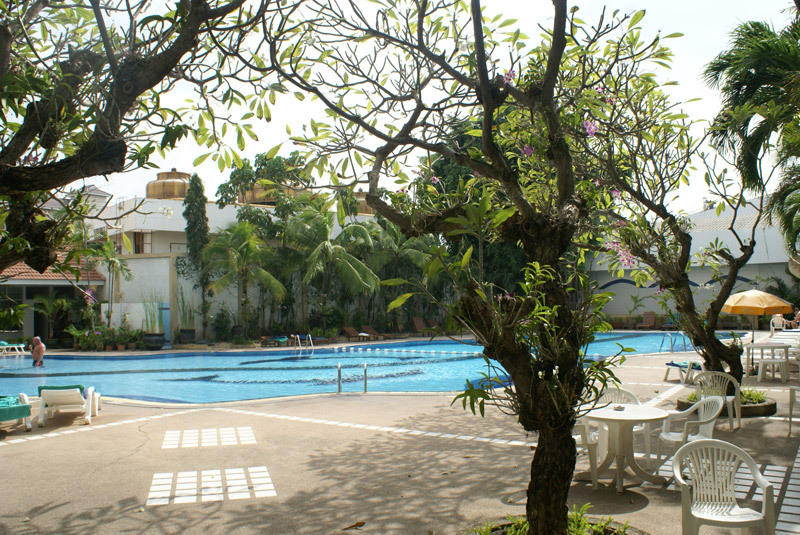 What is most appreciated by the guests is the outdoor pool, where one finds relaxing and enjoyable fun sessions. 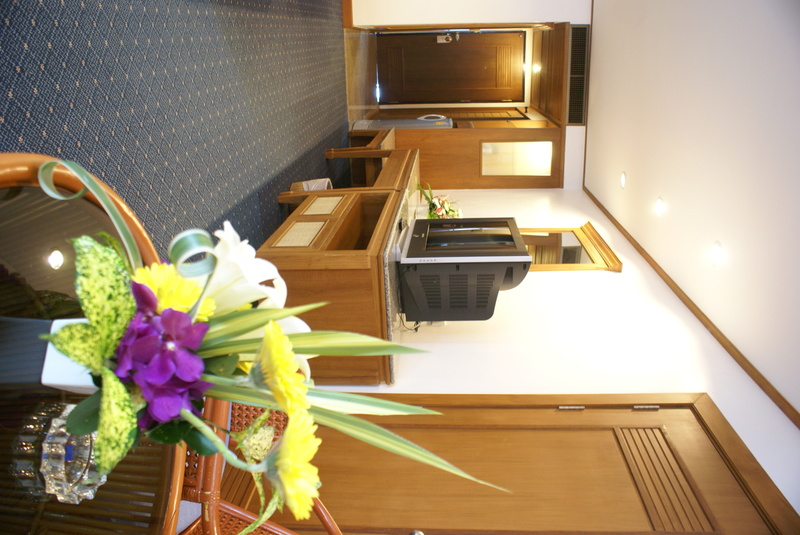 Closeness, to the international airport, is another advantage of Royal Twins Palace Hotel Pattaya.